On Drooble we’ve interviewed tens of musicians and song-writers but now we’ll show you another part of the big game called the music business. Brad Rose is one of the people on our website who’s following a completely different path which is still very bound to music. He’s been a graphic designer for the last 20 years, working on everything from album artworks to radio and social media campaigns. Here’s his story and his reasons to be a part of our ever-growing community. Hello! Tell the world about yourself. What lead you to becoming a designer? I am a freelancer graphic designer for the last 20 years and a visual artist ever since I held my first crayon. At around the age of six, I started drawing under the influence of comic books and album covers. BOSTON’s album had a big impact on me visually as well as musically – those harmonies! The 1970’s album art was magical… Elton John, Triumph, KISS… you name it. Introduce your current projects and tell us what makes each one special for you? 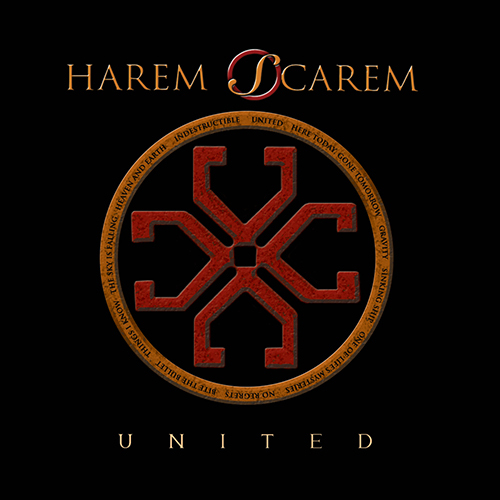 I am currently working with Harem Scarem on their social media… We just wound down their “United” album campaign and are in process of designing their upcoming box set. I am also just starting to work with a new Canadian country artist called Easthaven. 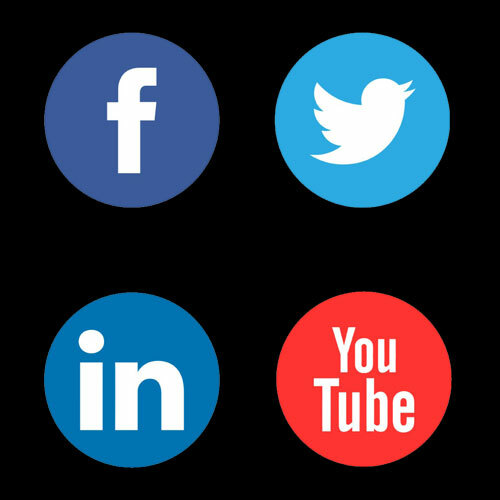 I am managing their social media as well as running radio campaigns! 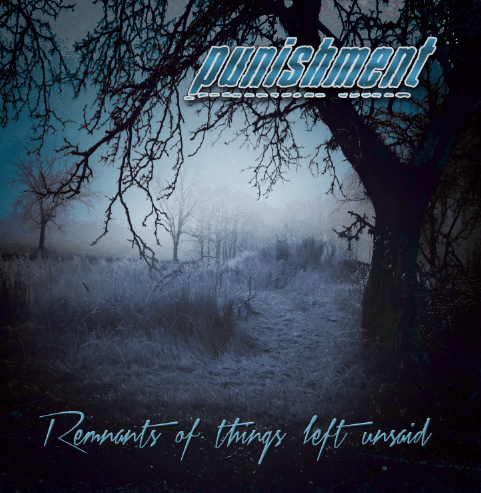 Another project on the burner is sharing lyrics with Punishment as they are in the studio working on their next album that will follow up called ‘Remnants of Things Left Unsaid’. I designed their album art and managed their social media campaign for that release. I’ll be doing the same with this next record. How do you find the drive and inspiration to keep going? I find inspiration in music.. in all of it. I’ve designed for rockstars, country bands and everything in between. I also find creative energy from being with my wife and two boys. We have a small urban farm in the heart of our city. It’s our little piece of paradise. How is your local music scene in your perspective? Do you feel like you belong there? The local music scene has a lot of talent. It’s the home to bands like I Mother Earth and Serena Ryder, plus so much other talents are just waiting to be discovered. What is your all-time favorite record and how did it change you as an artist? That would be Harem Scarem’s album “Thirteen”. This is the album that saw me first working with them in mid-2014. I’ve actually been a fan since 1991. In 2013, after being ‘Facebook friends’ with Pete Lesperance for a couple of years I just asked them for a job. They turned me down, but I was cool with that. Pete then contacted me in early 2014 asking if I was still interested in maybe working with them. Um, sure! From then on I was being invited into the studio to work on their “Thirteen Weeks to Thirteen” campaign on Pledgemusic and the rest is history. I’ve been with them for three albums now and I enjoy having a credit on each one. What are your favorite software and hardware tools? Mostly Adobe Creative Suite. It has pretty much everything I need. Been using Adobe products since 1999. What is your designing process like? The design process in working with musicians is listening to their music..feeling their music. What are they saying? How are they saying it? I put myself in the writers’ shoes and try to envision what they did during their process. I’ll then hand sketch the ideas as they sometimes can arrive quickly…I then storyboard it out in rough form in Photoshop and present to my client. Which one is your most memorable live show and why? Live shows that gave me what I call ‘Moments of AWE’ would be The U2 Zoo TV Tour as it was a monster back in the day. Absolutely insane in size and content. Then I would say seeing Harem Scarem play The Phoenix in Toronto. There I got to meet all the fans I was interacting with on their social media and ended up making some solid friendships I enjoy to this day. I also saw Punishment for the first time and thought: Ya, I want to work with them. Six months later I had designed their album art! I was shortlisted to design album art for a John Williams Compilation CD but didn’t get the project. That would’ve been right up there for me for sure. Designing a poster for a Hollywood film would be pretty sweet too. I also have bigger, non-design plans for a change in the music industry. I can’t really mention anything else though as there are investors that would get upset. So you’ll have to wait for me to talk more on this one but Drooble will be one of the places where this major announcement will happen. How has being on Drooble helped you as an artist? I am networking more directly with musicians from all over the world…All of whom speak the international language of music and that is awesome.